I got a late start this morning. After a week of travel, playing catch up at the day job, and dealing with a family issue, I gave myself the chance to sleep in this morning. It felt as fantastic as it was needed! The downside was that it was HOT, when I hit the road for a late-morning run. However, I was prepared with lots of water. Because of the heat, I spent some extra time on the post run cool down and stretch. I have to say that in spite of the heat and humidity, I love running in the oxygen rich lower altitudes parts of the country. Throughout the day, I can feel the exhilarating effects of the increased amount of oxygen consumed hours earlier during the run. As I ran, I recalled hearing someone once say that life is one continuous lesson in choice and accountability. I suppose that is true. My thoughts turned to one of my children, who is currently experiencing boot-camp levels of learning about choices and their inevitable consequences. At moments like this, I hope my children pay attention and learn. The biggest lesson right now would be that a choice today determines what you can or cannot do tomorrow. It either limits or expands options. I believe that choice and accountability is one principle, not two. One does not exist without the other. A person is forever accountable to his or her choices. Consequences are unavoidable and usually not open to negotiation. Unfortunately for children (teenagers in particular), this idea is not the invention of parents. But rather, it is a universal law. Life has taught me that every choice has a price and a consequence. Take, for example, the choice to run a marathon. The price is the daily training required to successfully complete the race. The price is also foregoing all the things that you could do with that time and all the food you could be eating. The consequence is the euphoric moment that you cross the finish line (and, more importantly, all the experiences that led you there). This could apply to any desire or goal. For most, if not all, choice/accountability is a hard concept to learn. Especially for the young. It is hard to step back and look at the big picture objectively. I have learned through hard personal experience that when choices lead to a messy, non-desirable result, being accountable is the key and best way to navigate your way out. In other words, take ownership of the choice that is yours AND its result. Initially, this may seem harder. But in the end, the benefits of this approach far outweigh anything else. Better to be an owner than a victim. As I or my children make mistakes, I hope we will take the time to learn and grow from each experience. After all, what’s a good mistake for, if you don’t learn from it. On the way to Desert Hot Springs, I ran through the tiny community of Whitewater, California. A pretty quiet run with few signs of life. The only exception being an unusually large rock yard for the Whitewater Rock & Supply Company. 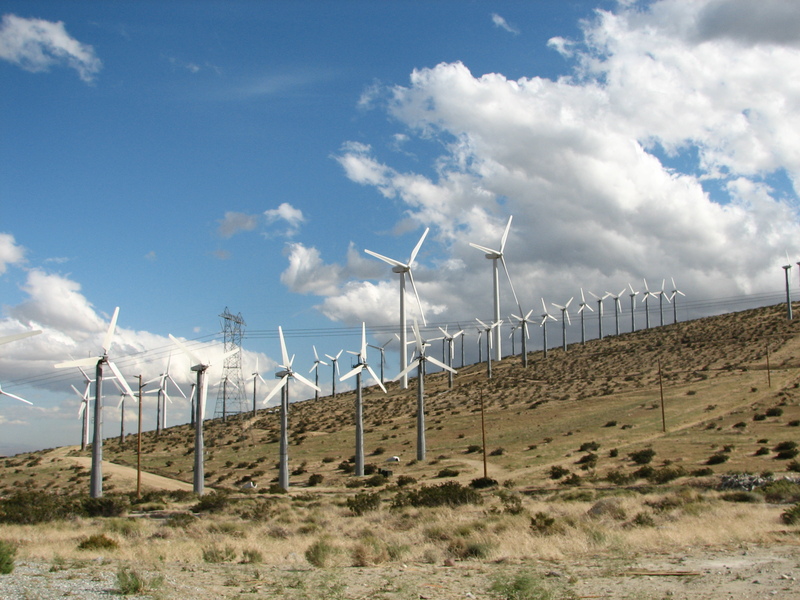 I thought my previous run through the Wind Farm at Cabazon was impressive. 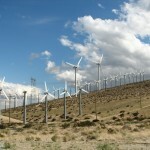 However, todays run led me right into the middle of San Gorgonio Pass Wind Farm. The power generation facility is home to more than 3,200 units. This facility is capable of supplying green power to more than 600,000 homes. You are right on regarding choice and accountability. It is sad that we usually learn these things only through experience. Sometimes, it is sad that we have to learn things from experience. But on the whole, I think it is great that we get to learn from experience. It’s how we grow! And growth = happiness!